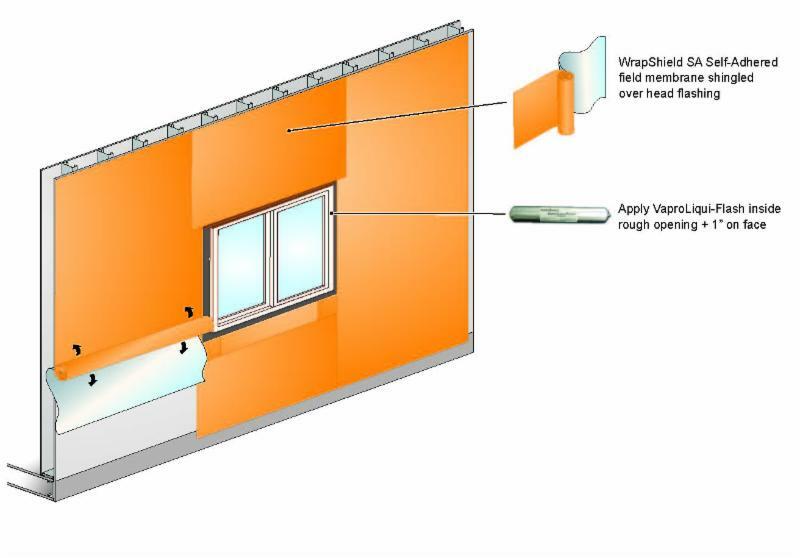 The company says its Two Component VaproAirBarrier System features two existing products, the WrapShield SA Self-Adhered membrane and VaproLiqui-Flash, to create a vapor-permeable, water-resistant seal within the building envelope. The system can be installed using basic hand tools even in below freezing temperatures, according to VaproShield. VaproShield says the system has virtually no weather installation restrictions. The system further eliminates the need for additional materials, such as joint/corner treatments, tapes, adhesives and spray equipment, according to the manufacturer. The company says in addition to cost reduction and easy install, the system helps ensure crew health and safety on the job. VaproAirBarrier System’s components are free of VOCs, toxins and red list chemicals making the materials safe for handling and repeated exposure, the company notes. Further, the self-adhering air barrier sheet membrane does not require primers, relinquishing the need for respirators or special overalls. Moreover, scraps and release paper are easily recyclable, the company says. VaproShield, based in Gig Harbor, WA, designs and manufactures membrane systems for roofs and walls.